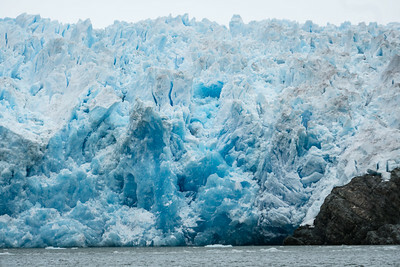 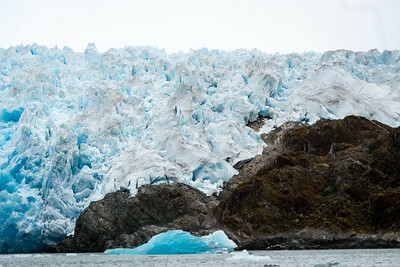 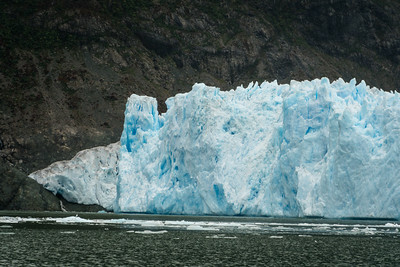 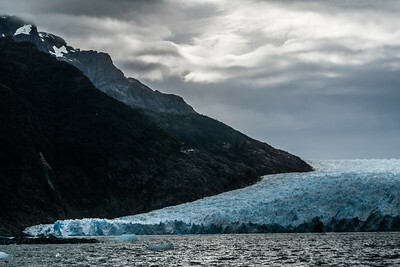 Our boat reached the San Rafael Glacier, about 46 degrees South. 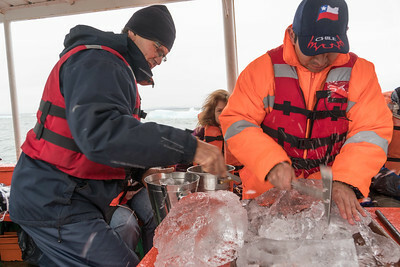 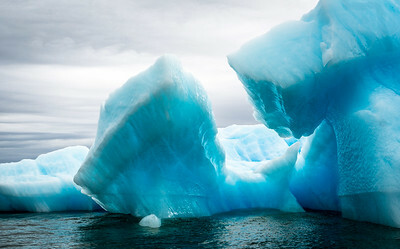 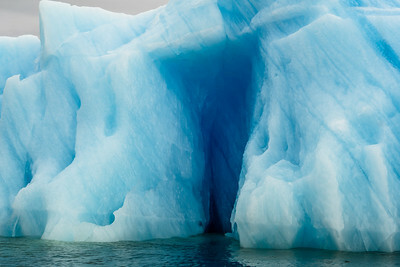 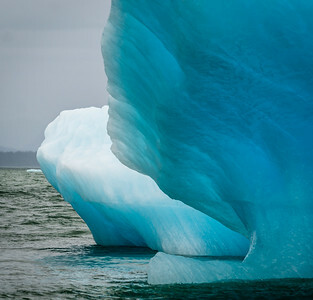 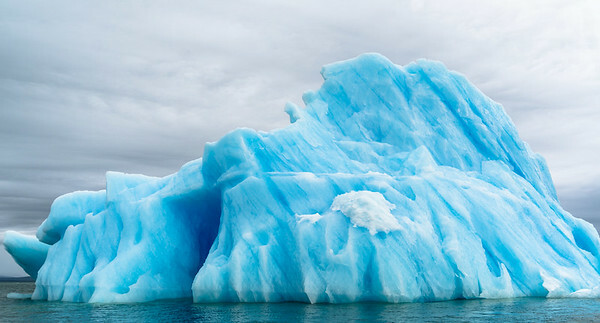 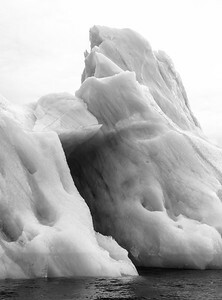 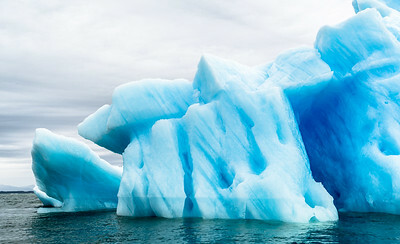 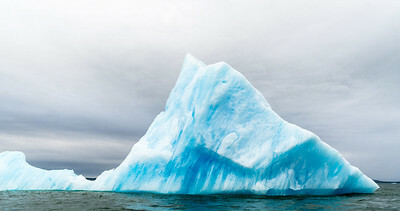 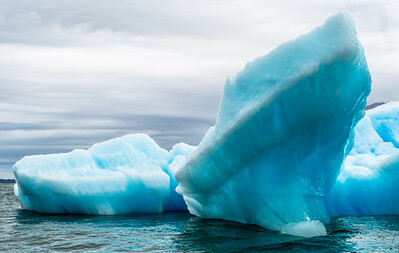 We spent some time exploring it, and a couple of icebergs, in a smaller boat. 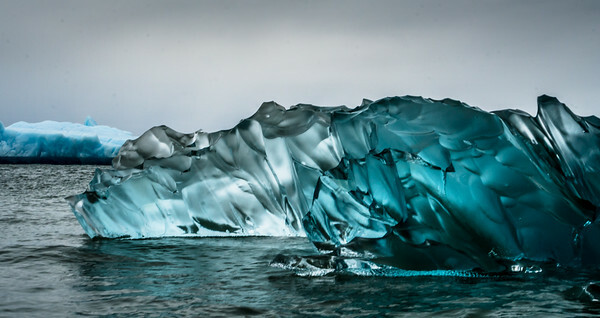 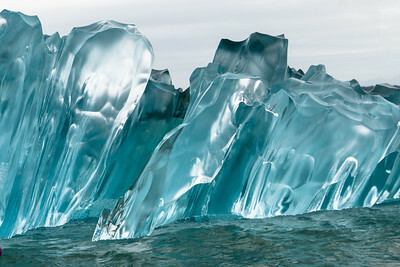 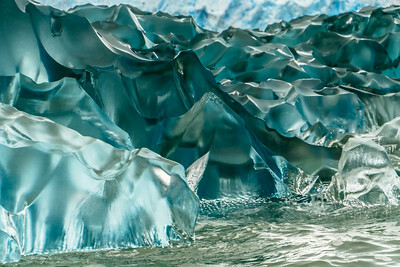 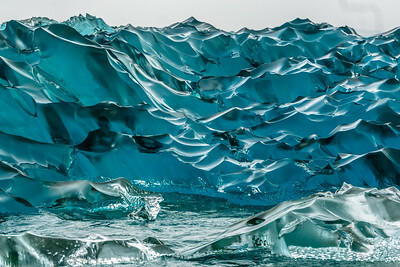 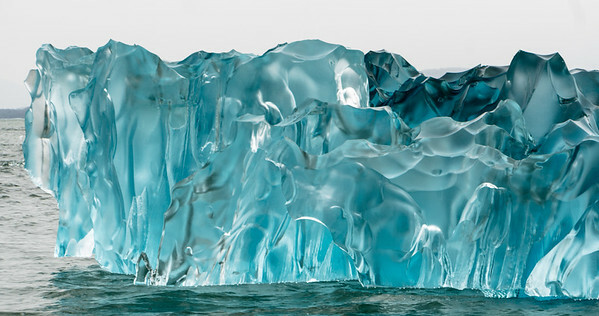 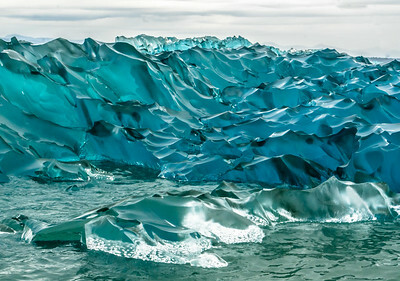 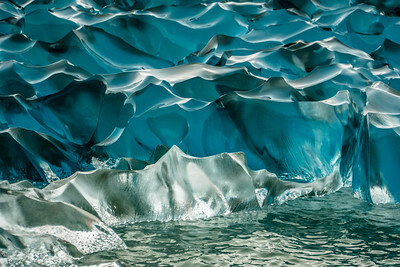 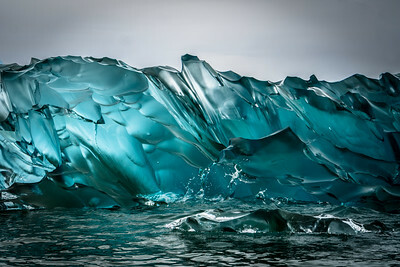 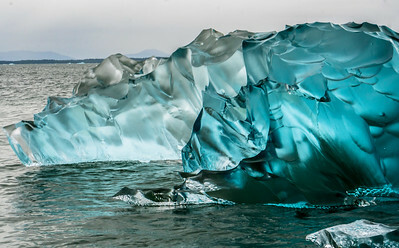 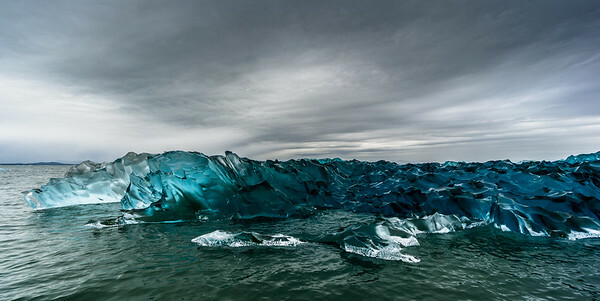 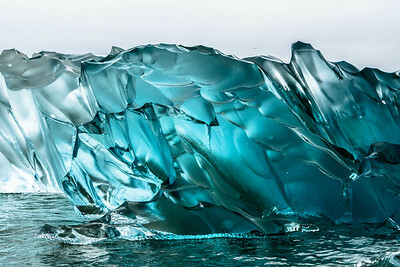 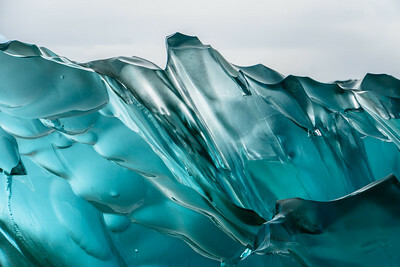 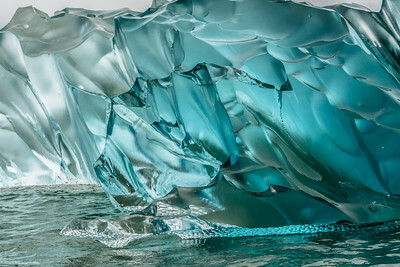 The glassy, gem-like berg had flipped, so the exposed surface had been underwater melting and was now crystalline and scalloped.